الصفحة الرئيسية » تصفح حسب المشروع » D.T.A Live @ The Hard Rock Café. D.T.A Live @ The Hard Rock Café. We're workin on new songs for our gig @ The Hard Rock Café in our Capital Beirut. Date: Sat, the 18th of July. The show starts @ 10:00 PM. This is the show you wouldn't wanna miss. 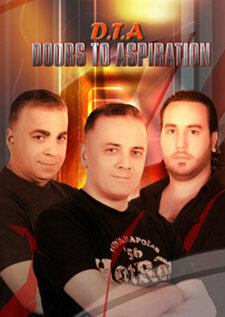 Faris The Rock Band D.T.A=Doors To Aspiration The New Revolution. Speak Your Mind and Stand Up For Your Rights. This is the show you wouldn't wanna miss.